Some time at the end of last year, I started drinking more tea in place of coffee. Don’t get me wrong – I LOVE coffee. But unfortunately, coffee doesn’t always love me. As I grow older I find that my body isn’t metabolizing it as efficiently as it used to. This led me to the auspicious discovery of matcha – green tea leaf powder. Many years ago, I had ceremonial matcha in Japan at a couple of tea ceremonies, and I remember it being very bitter and strong. We sipped it while nibbling on sweet yokan (a Japanese sweet bean based dessert). Last fall, during my coffee abstinence period, I wanted a caffeine boost via tea, and I tried a Green Tea Latte at Starbucks. I became addicted. Since then, I’ve been experimenting with matcha and trying to make my own lattes at home. It is too much of a luxury to pay over $4.00 for a daily drink, and I learned that the Starbucks’ version has 25 grams of sugar in a tall size!! Matcha is considered to be a super food for its exceptionally high content of antioxidants. It is widely known for as a unique aid in staying alert and focused without the jitteriness that sometimes accompanies drinking strong coffee (or for me, coffee in general). This is because though it contains caffeine, matcha also contains amino acids including, L-Theanin, which slows the release of the caffeine. I still love the flavor of coffee, and I will sometimes “indulge” in a decaf, but for my daily morning fix, I have been drinking my High Protein Matcha Latte. I bought a cute little milk frother on amazon, and that has changed my life for the better as well! First I mix unsweetened coconut milk with vanilla protein powder. I use Optimum Nutrition Vanilla Creme whey protein. You could just skip this part if you don’t like powders and sweeten your drink with something else. I heat the mixture briefly and froth it up with my frother. Look how wonderfully it does its job! Then I make my matcha in a medium sized bowl (chawan). I have been using Jade Leaf Organic Matcha. 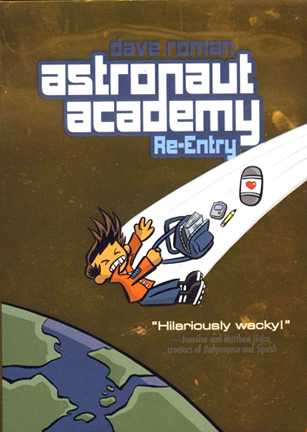 If anyone has another recommendation they love, I would love to try it as well! Please let me know in the comments below. I’m only using the culinary grade for now, because the ceremonial grades are so expensive in general. I use 1/2 teaspoon matcha which I sift through a mini strainer. Then I add 1/2 cup hot water (don’t use boiling because the tea leaf is delicate) and whisk it until dissolved. I bought a Japanese whisk, but any whisk will do. Then I add the frothed milk to the tea. Mix coconut milk and protein powder together. Heat for 30 seconds in microwave. Stir. Heat for another 30 seconds. You don’t want to heat too long or the protein will curdle, which is really unpleasant! Froth milk using a whisk or mini frother. 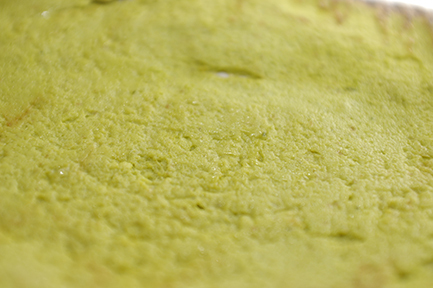 Sift matcha powder into a small bowl or coffee mug. Add hot water while whisking. Add milk to tea. Enjoy! Mmmmm….A nice cup of goodness! Pumpkin is officially in season now! Have you see all the pumpkin products at Trader Joe’s alone? I’m intrigued by the pumpkin cookie butter, but I haven’t bought any yet. I stock up on their canned organic pumpkin this time of year though, because it’s always great to have on hand, and not only for pumpkin pie. 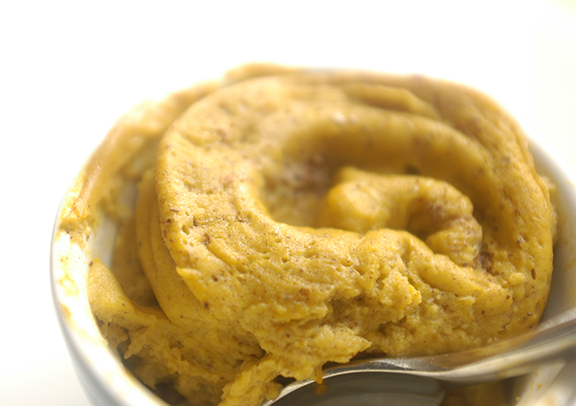 I’ve been enjoying this warm pumpkin custard for breakfasts as well as dessert! It’s pretty high in protein and low in sugar, so I don’t feel guilty eating it first thing in the morning to start my day. And since the weather is turning colder, it is such a comforting meal to warm you up! 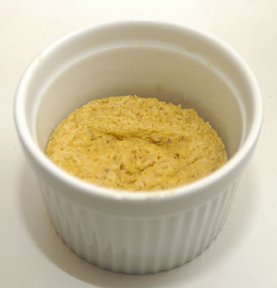 Spray a large ramekin or bowl or two small ramekins with non-stick spray. Pour custard in taking care to leave about 1/2 ” space at the top. Microwave in 30 second intervals until cooked. Depending on your microwave and whether you cook the custard in two ramekins or one, it should take about 90 seconds – 2 1/2 minutes. Goji berries are said to be one of the most anti-oxidant rich foods on the planet. Some claim that it boosts one’s immunity system, improves one’s brain function, and even extends one’s life expectancy! They are high in vitamins C and A and are also a good source of iron and fiber, and have some protein. I buy them in bulk at a local market, but they are also readily available at health food stores. The dried berries are quite hard in their dried state. Unlike dried cranberries, they are not very chewy either. 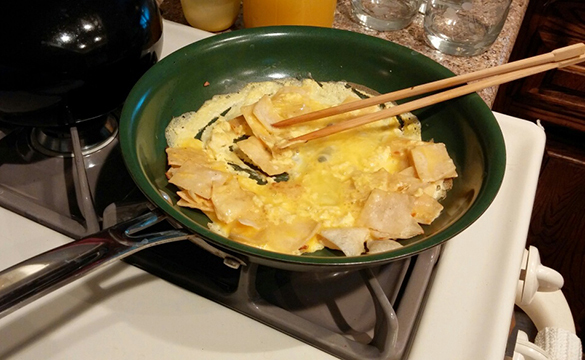 In Chinese cuisine, they are used in cooked dishes, so I decided to reconstitute mine in very hot orange juice. I heated 1/4 cup of orange juice and soaked about 1/4 cup of goji berries in it for about 10 – 15 minutes. This really softened them up and made them much easier to chew. I then mixed them in a 1 cup of plain Greek yogurt and sprinkled with reserved berries, toasted almonds, coconut, and cinnamon for garnish. Such a delicious, quick, and healthy snack! 2. Reserve a few berries for garnish. Mix the rest along with orange juice into the Greek yogurt and stir until combined. 3. 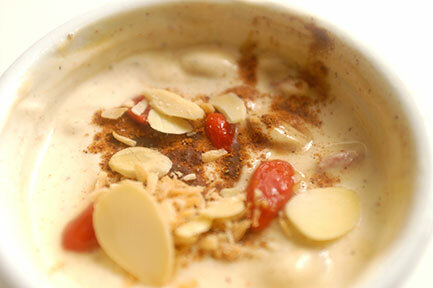 Sprinkle toasted sliced almonds, dried coconut, cinnamon, and reserved berries on top and serve. I’m sharing with you a recipe (semi) fail today. Sometimes life is not perfect. I used it to make a breakfast burrito (with beans, egg, cheese, salsa, and onions). The flavor is wonderful, even though it is not very “pretty”. These days, I am so busy with my artwork, I don’t have as much time to noodle around experimenting in the kitchen, but it is a nice way to procrastinate! 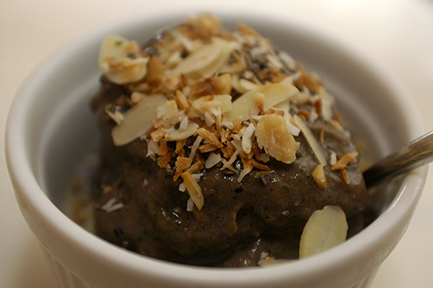 For breakfast, I’m sticking with my perfected Green Coconut Chocolate Protein Ice Cream. It is similar to my Green Coconut Chocolate Spinach Smoothie, but instead of psyllium husk (I know, I’m losing out on the extra fiber…! ), I use a pinch of xanthum gum which I picked up at the health food store. It gives it a really nice smooth and creamy ice cream feel. 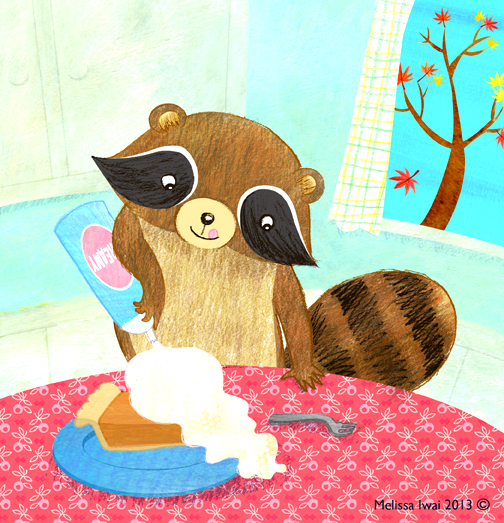 AH… dessert for breakfast! I garnish it with toasted unsweetened coconut and sliced almonds and chia seeds. This is the perfect light breakfast on a hot summer day. If you can find xanthum gum, try it out — a little goes a lo..o.o…o..ng way! http://storiesonclouds.wordpress.com/ and his friend, P’s http://hefordandmelly.wordpress.com/ blogs. Both are creative writing blogs. It is pretty obvious which one is written by the boy and which is written by the girl! 1. Crush ice cubes and coconut milk in blender. 2. Pour in remaining ingredients and blend. 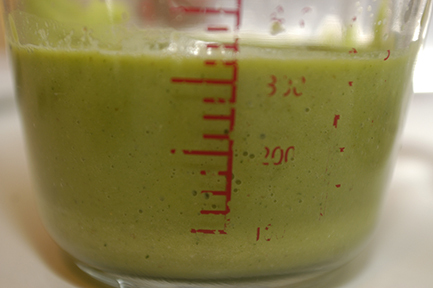 Use a tamper to press everything down — I use a Vitamix. If you don’t have a tamper, I would just keep stirring it every now and then by hand to remove clumps, and blend again. 3. 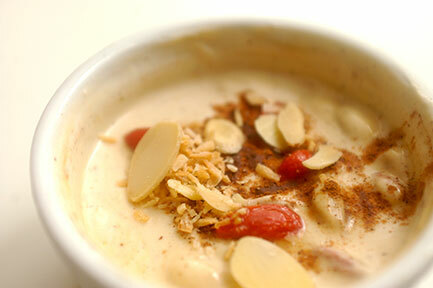 Pour into a bowl and top with crunchy toasted coconut and almond topping if you desire! 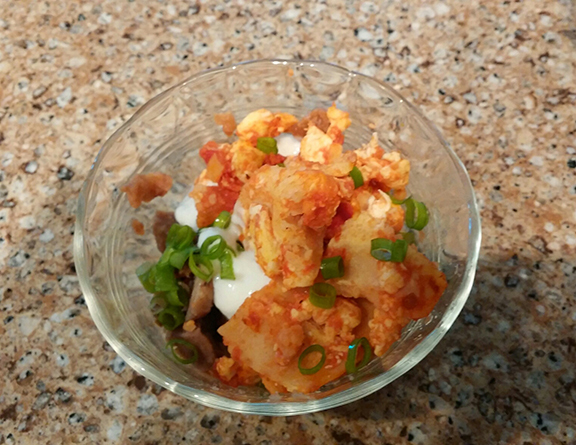 Here is my semi-fail recipe if you are interested — still needs work! 1. Preheat oven to 350 degrees F. Cut eight 5 x 5 inch squares out of parchment paper and lay four of them on top on baking sheet. Spray paper with nonstick spray. Set aside. 2. Blend ingredients in a blender. 3. Spoon batter onto parchment and spread into circles or squares. Bake for about 10-12 minutes. Cover each square with paper then flip pancake so that the cooked side is down. Bake for another 5-7 minutes until pancake is done. Cool and store in refrigerator or eat immediately. It’s been so long since I’ve posted, I feel like I’ve almost forgotten how! In the past few weeks, I’ve had a ton of deadlines and events, and in June, we made a visit to California. 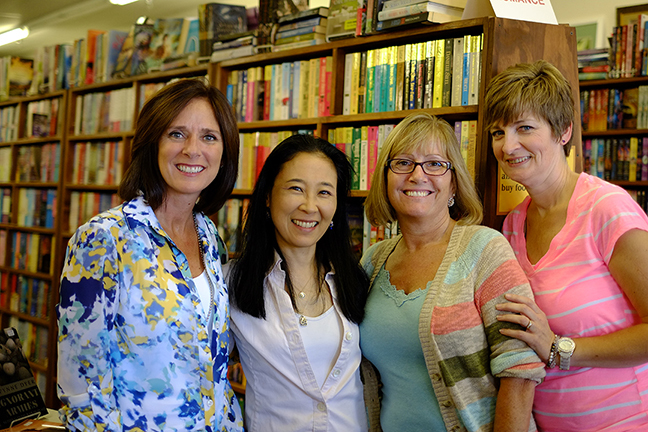 It was my 30th high school reunion, and we had a book signing in my home town of Lompoc on the Central Coast. Life has been a whirlwind and now I am catching up! 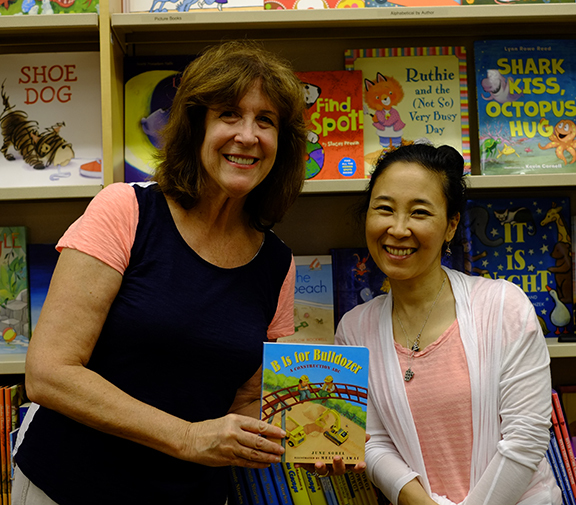 Then, the next thing we knew, we were in beautiful Santa Barbara at the wonderful Chaucer’s Bookstore where I got to sign more books! It was so great to finally make it to Lompoc after 15 hours of non-stop traveling! I’m totally dating myself when I say it was my 30th reunion, but honestly it doesn’t feel like it’s been that long! Lol. 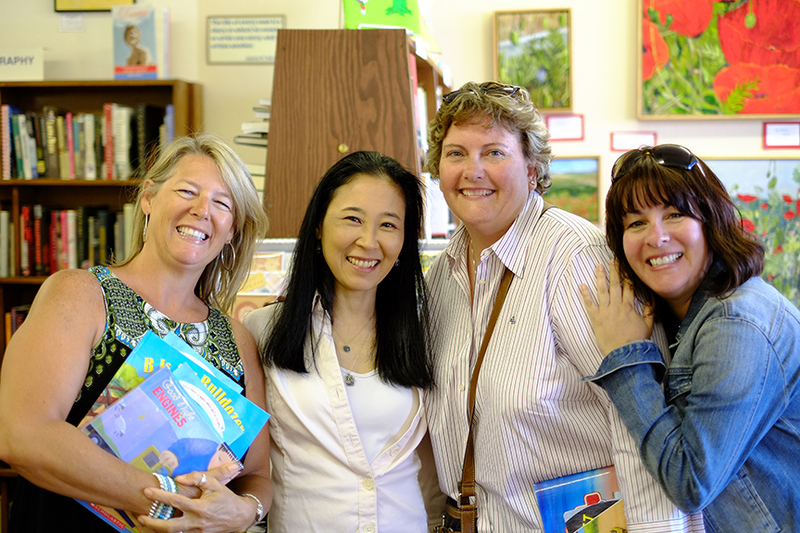 Some of my classmates whom I haven’t seen in 30 years were in town and came to a book signing we had at The Bookstore–a wonderful independent book store in Lompoc. I don’t think we’ve changed THAT much. It was so great to see these lovely women again after so many years! There were several reunion events during the weekend. What fun it was to see everyone again and reconnect. It was kind of weird to talk to people who remembered things that happened that were shared experiences that had no recollection about…! And so amazing to realize that we had all watched each other grow up and now here we were in the present so enmeshed in our respective adult lives and identities! It was also nice to be able to introduce Denis to everyone and meet my classmates’ significant others and tie the two worlds (past and present) together. 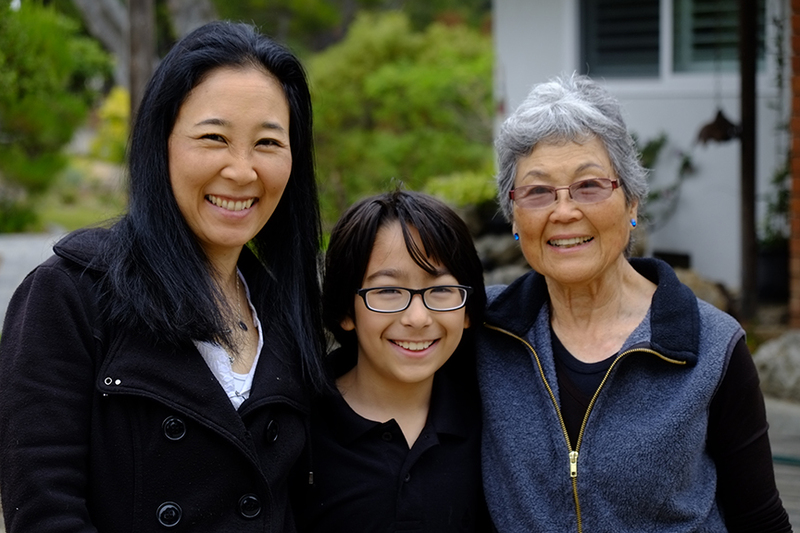 While in Lompoc, we stayed with my mom, of course. I hope I have her energy when I’m 84…. 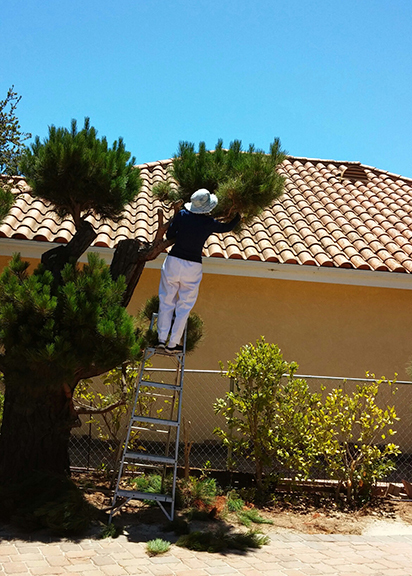 My mom tree trimming on her property. The whole time we were there, I think every meal I ate except for maybe one was Mexican! 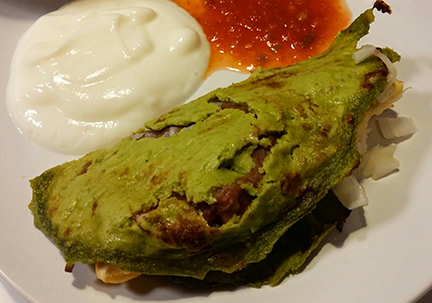 I so miss the food I grew up with, and here in our part of Brooklyn, great, cheap Mexican food is not to be had…. My mom made her yummy enchiladas (I did a post on it here and again here! ), and I literally ate a burrito I got in town and brought home (it was as big as my head) for about five meals. lol. 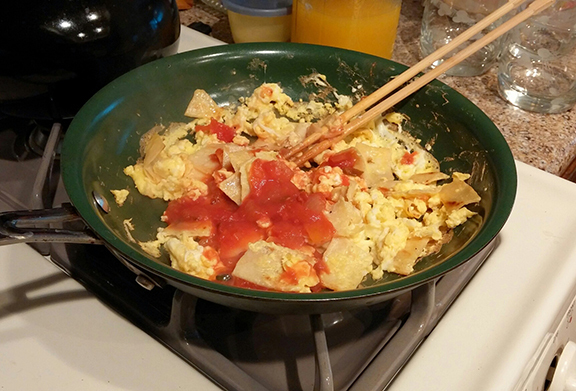 For breakfast, my mom introduced us to a delicious and so so easy to make Mexican Migas that a friend taught her to make recently. Basically it is scrambled eggs with salsa and leftover cut up corn tortilla. It is SO good! Total comfort food. I’ve seen other migas recipes made by sauteing onion and pepper first, but my mom’s recipe is easier– you could do it in your sleep – or at least before your first cup of tea or coffee! 1. Cut up corn tortillas. Heat oil in skillet. 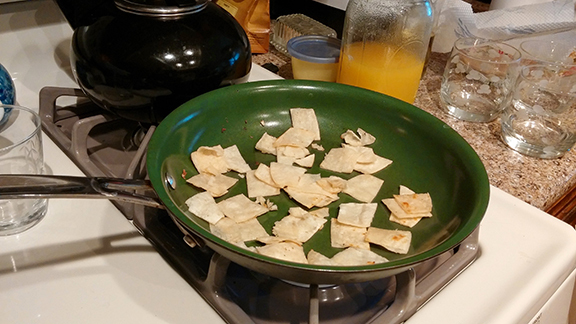 Saute tortillas until soft. 2. Add beaten eggs to skillet and stir. Cook until no longer translucent. Stir in salsa and cook until heated through. 3. Serve with shredded cheese, chopped onions, beans, sour cream if you wish. Makes one to two servings. 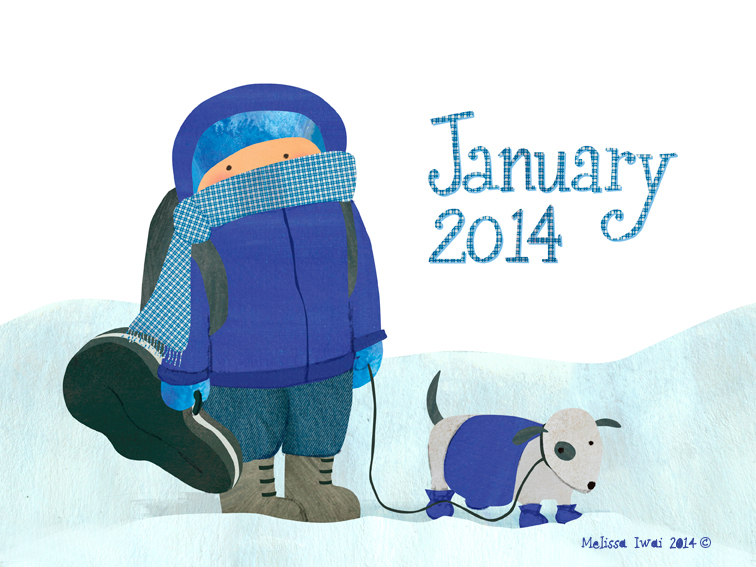 This is pretty much what our January is looking like! Even after living in NYC after more than sixteen years, seeing trees shed all their leaves in autumn and snow fall in winter is still a novelty for me. Hey, it beats mudslides, wildfires, and earthquakes. One thing I miss about California, though, is the fresh produce year round. Here, on the other hand, I usually only buy apples, pears, and grapefruit regularly during the winter, because they are plentiful and reasonably priced. At our local green market, grapefruits are three for a dollar, which is a great price for the city. And who doesn’t love a burst of fresh citrus in the morning? Denis likes his with sugar, and I like mine with salt (I know–weird, but maybe it’s a Hawaiian thing passed down from my parents?) Jamie doesn’t like grapefruit, which works out fine, because then I only have to cut up one. I decided to experiment with grapefruit in my baking. It’s usually not the first fruit you think of it — it has some sour, bitter notes. 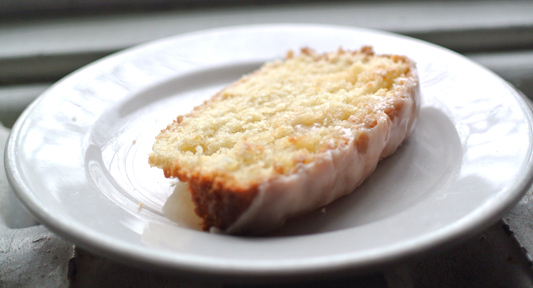 But I love lemon and orange poundcake, and I thought, maybe it would be a good candidate for it. 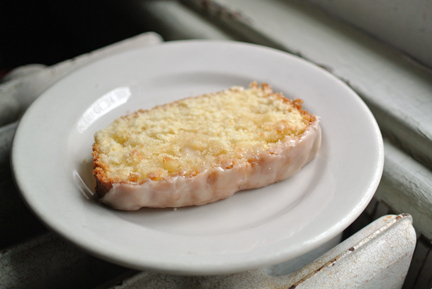 I made one based on Ina Garten’s Orange Pound Cake, halving the recipe and substituting grapefruit juice and zest. We brought the cake to Shelter Island and I iced it there. Denis’ mom wrinkled her nose when he told her it was a “Grapefruit Cake”, as she’s not a fan of grapefruit. I told him I was going to tell her it was “Winter Citrus Cake” but he beat me to it. Luckily, she tried it anyway, and guess what– she loved it! 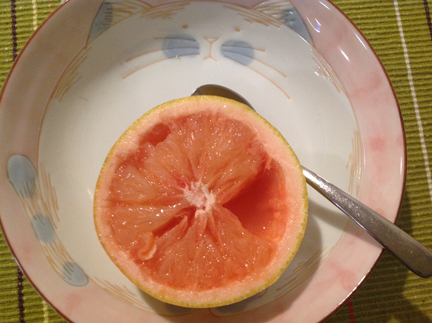 So did our non-eating grapefruit son. 1. Heat oven to 350 degrees. Line a loaf pan bottom with parchment and grease or spray sides with non-stick spray. 2. Whisk together flour, baking powder, baking soda and salt in a bowl and set aside. In another bowl, combine 2 tablespoons of the grapefruit juice, the buttermilk, and the vanilla and set aside. 3. Cream the butter with 1 cup of the sugar in the bowl of a stand mixer for about 5 minutes, until light and fluffy. Add eggs one at a time and the grapefruit zest. 4. Add the flour and the buttermilk/grapefruit juice mixture, alternately to the batter, beginning and ending with the flour while mixer is on low. Pour batter into prepared pan. 5. Bake for 40-50 minutes , until a cake tester come out clean. 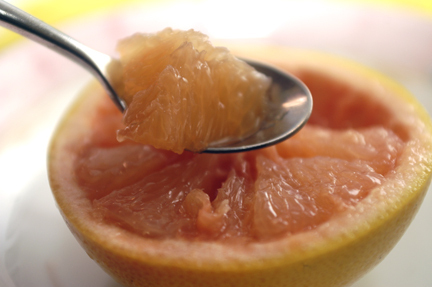 While the cake is baking, heat the remaining 1/4 cup sugar with 1/4 cup grapefruit juice in a small saucepan over low heat until the sugar dissolves completely. Set aside. 6. When cake is done, let sit in the pan to cool for 10 minutes. Then remove, and put on a rack with a baking sheet underneath. Pierce top of cake with a knife and pour the grapefruit juice sugar mixture on top. I also make piercings while pouring slowly so that I can get as much of the syrup into the cake. Let cool completely. 7. When cake is cooled, whisk sifted confectioner’s sugar with a bit of the remaining grapefruit juice until it can pour easily. Pour over the top of the cake and let glaze set. I did this step after traveling to our destination, as the icing would have gotten mashed if I had wrapped it tightly and carried it. I’m traveling and visiting family at the moment, so this will be short and sweet! As some of you might have already seen, there are a ton of cake in the mug recipes all over the web. They are wonderful for college kids whose only cooking appliance is a microwave. 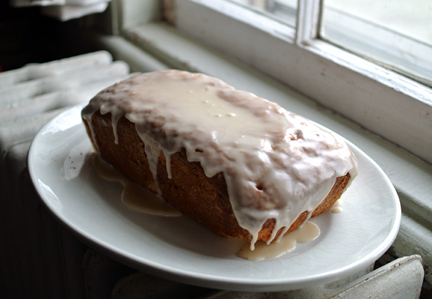 But I have been having fun making versions of this cake for my breakfasts. Now that it’s so cold, I haven’t been having my protein smoothie as often. 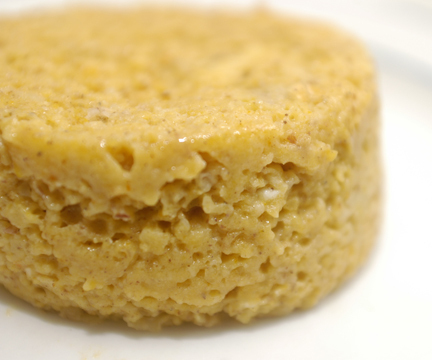 I was also inspired by fellow blogger Wild Blue Wonder’s yummy pumpkin oats and sometimes make the cake with oats. You can improvise with the recipe, substituting almond meal, rice flour, or other flour in place of the flour or oats and make it gluten free. Here is a Paleo gluten free chocolate one that sounds good. 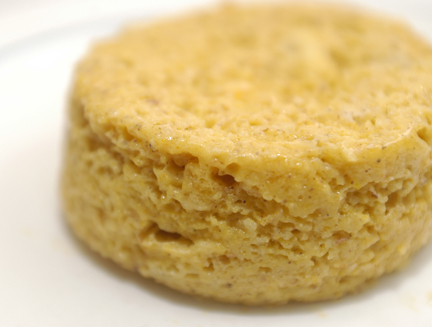 I used pumpkin puree, some almond meal, and a bit of TJ’s multigrain pancake mix. I cook mine in a large ramekin. Because I use so little flour, it has a real moist texture that is close to a bread pudding. It’s so warm and comforting and delicious. 1. Mix all ingredients in a mug and microwave for about 1 minute and 30 seconds, checking after a minute. Depends on the strength of your microwave. Another way to do it is to mix everything in a bowl and transfer to a ramekin sprayed with nonstick spray and then microwave. Ok, I’ve had this blog for what, going on 3 years here, and I have never compiled a recipes page. Major head slap. People often ask me for recipes on the blog, and my feeble response is to “do a search”. Really lame. I guess when I began the blog, I didn’t know it would grow this big. I should have had a recipes page on day one. I realized this fact a couple of months ago, and the prospect of going back and linking everything and getting it all in ship shape paralyzed me. I realized it is never going to happen unless I start NOW. So, I am currently building it, but it will take time. I have over a 100 recipes on the site to categorize and link. 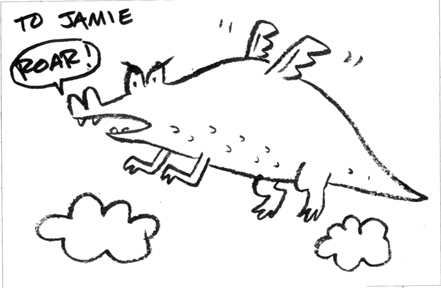 And now is not the best time in terms of my book and illustration projects (though when is it ever, right?) I am currently involved in. I just want to say that the recipe page is a work in progress. It has been really enjoyable to go back and look at older recipes though. Some I haven’t made in awhile, and I will definitely have to. Especially the soup recipes! As some of you might know, the impetus for starting this little blog was the publication of Soup Day, which I wrote and illustrated and came out with Henry Holt in 2010. Here are the categories I came up with, and here is the recipe page for the whole collection (so far). Also, there is now a RECIPES link on the header of every page and post! Thanks for your patience and hope you try out some old favorites! 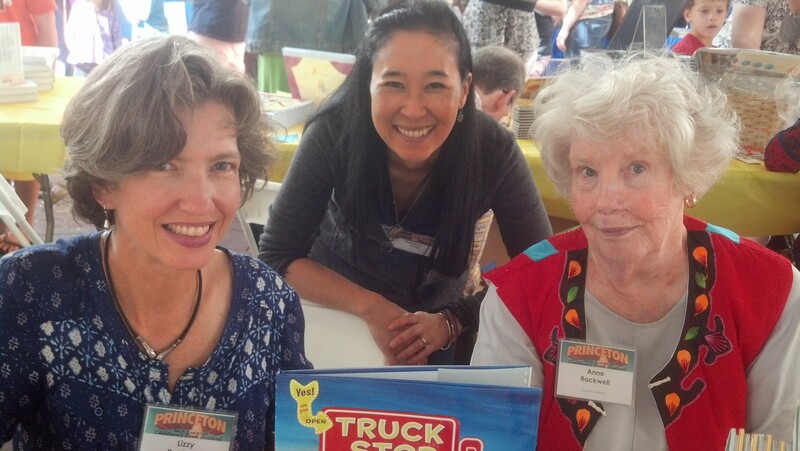 This past Saturday we participated in the Princeton Children’s Book Festival. 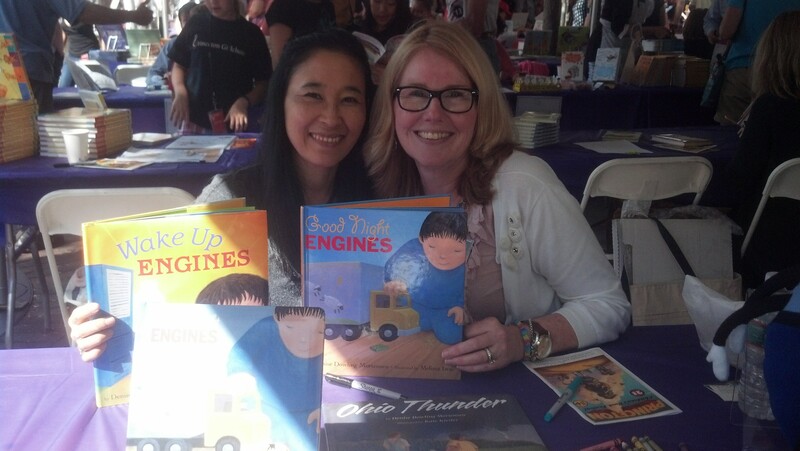 It was a beautiful day for celebrating children’s books! 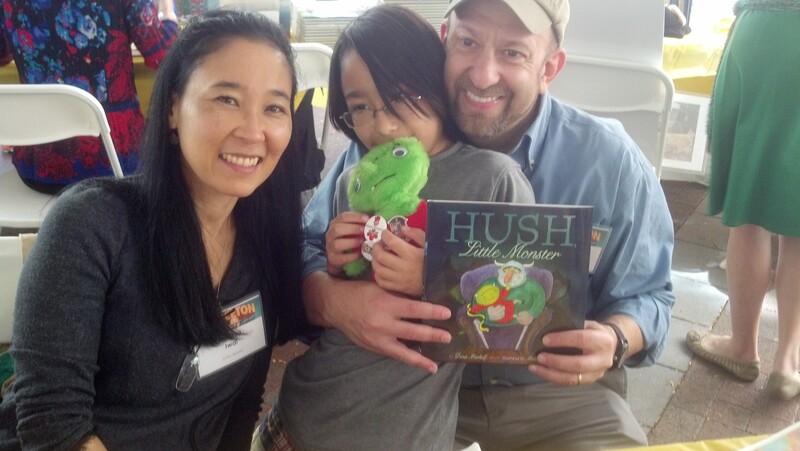 We met a lot of interesting authors and illustrators and wonderfully supportive parents buying books. It was also great to see old friends. Unfortunately I didn’t get a photo of them — I was too distraught over finding my cake stand had broken en route! The good news was that the pile of donuts quickly disappeared within the first couple of hours. Jamie was a trooper and didn’t mind having to be with us at the festival all day long with no playmates. He wandered about the four tents of 20 authors and illustrators and looked at books, sampled treats, and had his program signed by all 80 of them! Thank you so much for being so kind to my son! 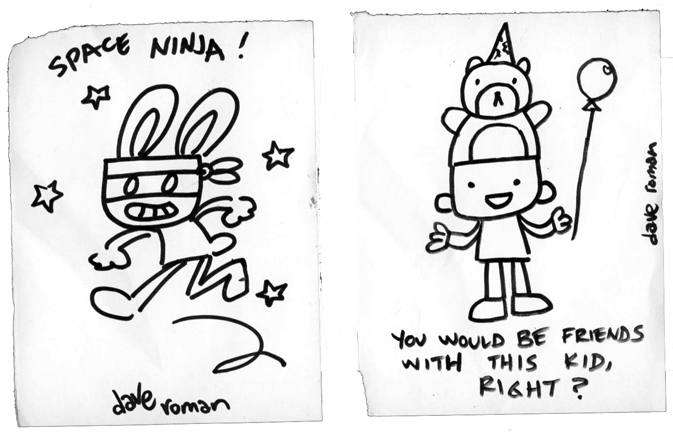 Jamie also got to choose a couple books for himself and a friend which he had signed by Dave Roman and Fiona Robertson. It’s so special when you can give and receive an autographed copy! I knew it would be a long day of meeting people and signing books, as well as traveling to and from the event. It’s the kind of situation where you never know if you’ll get really hungry in a place where there might not be healthy, portable options available. 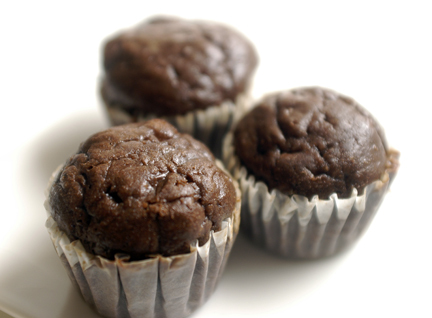 In preparation, I made a dozen Shelly’s Chocolate Protein Mini Muffins to bring with us. This recipe is from The World According to Eggface — a fantastic blog with lots of great recipes. These muffins came in handy when we were stranded on the platform after just missing our train back to the city! It was dinner time and we had to wait for the next train–in the end we were kind of glad we did, because we got to ride with more of our festival compatriots who arrived at the train station later. Plus, we weren’t hungry anymore! This coming weekend, I have more book events. If you are in the NYC area, please come join me. 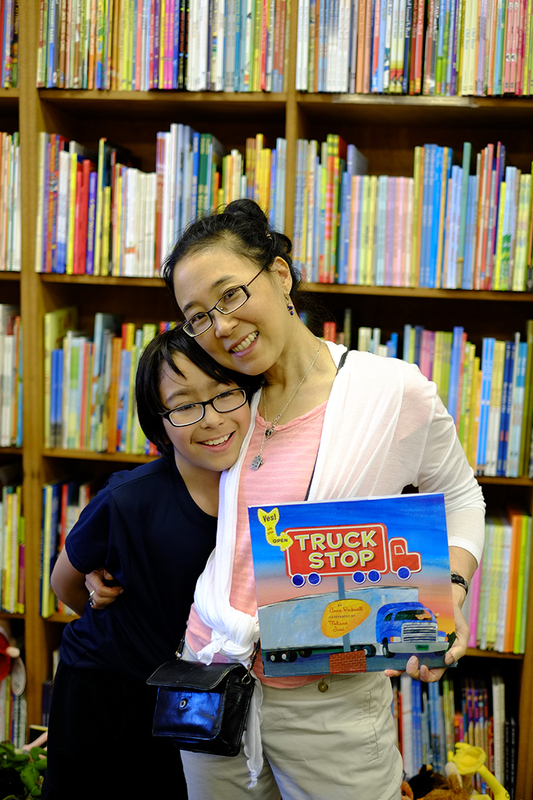 I will be at Greenlight Bookstore (686 Fulton Street at South Portland, Brooklyn, NY) on Saturday, September 28 from 11- 12, reading Truck Stop and the board book version of B is for Bulldozer, which was just released this month! 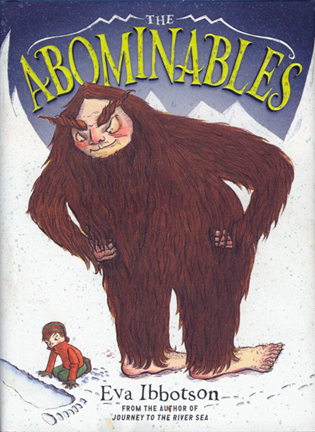 On Sunday, September 29, I will be on a panel with Anne Rockwell and several other authors at Books of Wonder (18 West 18th street between 5th and 6th Avenues) from 1-3 pm. I’m embarrassed that I have had this cookbook and have been meaning to post a review of it FOREVER. The nice folks at Saint Martin’s Press sent it to me, and it’s a fantastic cookbook. The more I use it, the more I love it. I’ve never done Weight Watchers, but I know a lot of people who have with great success. 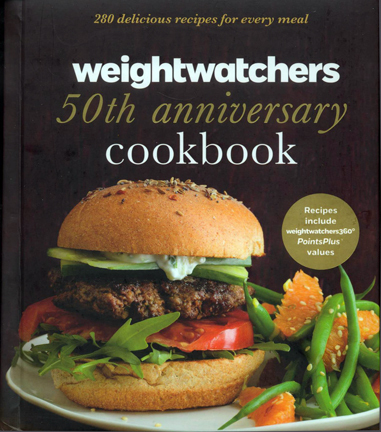 Even if you are not dieting or involved in Weight Watchers, though, this this is a great cookbook to have in your library. The recipes are not all about using fat-free ingredients, and shunning food groups, etc. The focus is on fresh ingredients and healthy cooking tips. There is a blurb about each recipe (a lot are favorites that have been updated). Servings and portion sizes, and nutritional information with PointsPlus points (if you are following the Weight Watchers 360 program) are also included with the recipes. Recipes that are vegetarian and/or under 20 minutes to prepare are noted. The recipes are very easy to follow, the photography beautiful, but best of all, the dishes are wonderful. I have made the Lemon Basil Three Bean Salad about four or five times. It is my new go to side dish for grilling or having a get together (see recipe below). 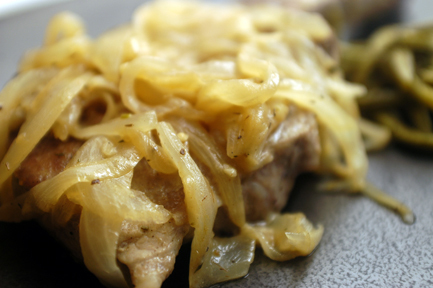 I made the Pork Chops with Onion Gravy last night, and it was AMAZING. The cool thing about it is that you cook the onions in chicken broth, rather than sauteing them in a lot of oil and butter (a la The Barefoot Contessa), but you don’t sacrifice flavor at all. So you are only using 1 teaspoon of olive oil for the whole dish. I will definitely make this again. It is key that you use bone-in pork chops so they stay moist, and this is noted in the recipe. 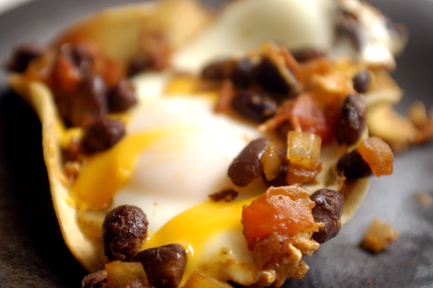 Another recipe I absolutely love is the Huevos Rancheros in Tortilla Cups. I make this for myself all the time now. I’m the only one who likes spicy foods, so I just make a single portion using our toaster oven. I love the idea of making the cups using an inverted ramekin or muffin tin. It works like a charm. And I love baked eggs and Mexican food, so this is one of my favorites. There are a lot of really simple recipes that I’ve tried out that I am not reviewing here, but that I use regularly and vary to my liking. Omelettes for Two (you use 2 large eggs and 3 whites), Canadian Bacon-Cheddar Frittata, Potato Leek Soup, Kale Chips, Banana “Ice Cream”, Oven Fried Fish and Chips, Vegetable Quesadillas, to name a few. I chose to highlight these three because they were all very good, and I learned something from them that I think is valuable and that I’ll incorporate into other recipes (e.g. 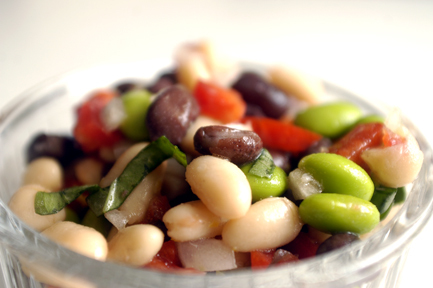 Including edamame in bean salad, and using lemon juice and zest, rather than vinegar; making tortilla cups; and cooking a pile of onions and softening them in chicken broth). And there are TON of recipes I want to try out in the future, like: Bubble Bread with Herbs and Sun Dried Tomatoes, Southwestern Chicken Vegetable Soup, Mexican Chicken Wraps, Salisbury Steak with Mushroom Gravy, Individual Beef Wellingtons, Boston Cream Pie. These are just a handful of them. If I were to wait until I made everything, photographed the dishes, wrote about them, and posted about it, this review would take even longer than it has to get out! Please enjoy these three dishes from Weight Watchers 50th Anniversary Cookbook, and buy the book for more great healthy and delicious recipes! Combine the lemon zest, lemon juice, oil, salt, and ground pepper in a medium bowl. 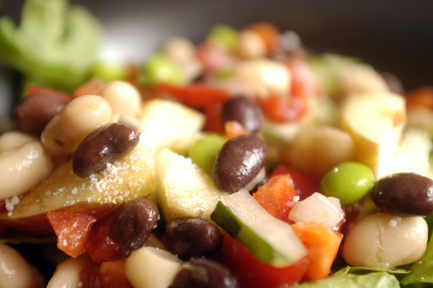 Add the black beans, white beans, soybeans, onion, bell pepper, and basil; toss to coat evenly. Serve at once, or cover and refrigerate for up to 2 days. Per Serving (3/4 cup): 160 Cal, 3 g Total Fat, 0 g Sat Fat, 0 mg Chol, 427 mg Sod, 26g Carb, 8 g Fib, 9g Prot, 94 mg Calc. 1 Sprinkle the chops with the salt and pepper. Heat a large nonstick skillet over medium heat. (I used a cast iron one). Swirl in the oil, add the chops and cook, turning occasionally, until browned, about 5 minutes. Transfer to a plate. 2 Add the onions, ¼ cup of the broth, and the garlic to the skillet. Bring to a boil. Reduce the heat and simmer, covered, stirring occasionally, until the onions are very tender, about 12-15 minutes. 3 Sprinkle the onions with the flour; cook, stirring constantly, 1 minute. Add the remaining 1 cup broth, mustard, and thyme. Bring to a boil, stirring until the sauce bubbles and thickens. Return the chops and any accumulated juices to the skillet. Reduce the heat and simmer, uncovered, until the chops are heated through, 2-3 minutes. 253 Cal, 11 g Total Fat, 4g Sat Fat, 76 mg Chol, 420 g Sod, 9 g Carb, 2 g Fiber, 29g Prot, 30 mg Calc. Place the oven rack in the center of the oven; preheat the oven to 425 F. Lightly spray both sides of the tortillas with nonstick spray. Place 4 inverted custard cups on a baking sheet, and drape a tortilla over each to give it a bowl shape. (You may also use an inverted 12-cup muffin pan, placing the tortillas over alternate cups.) Bake until the tortillas are crisped and lightly golden around the edges, 10 minutes. Remove the tortillas and set them on a rack to cool. Combine the diced tomatoes, beans, chiles, pepper sauce, cumin, and 2 tablespoons of the cilantro in an ovenproof skillet. Bring to a boil over medium heat, reduce the heat to low, and simmer until the flavors are blended, 4 minutes. Break the eggs one at a time, on top of the sauce, spacing them evenly apart. 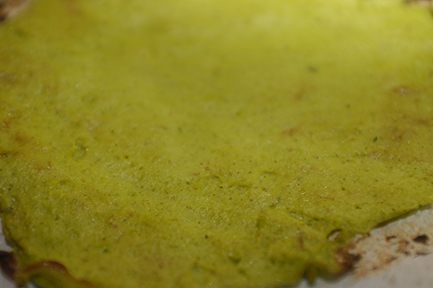 Immediately place the pan in the oven and bake until the eggs are almost set, 6-8 minutes. Sprinkle the cheese on top of the eggs and bake until melted, 1 minute. to serve, place the tortilla cups on serving plates and spoon the eggs and sauce into the tortilla cups. Garnish with the remaining tablespoon of chopped cilantro and serve immediately. Per Serving (1 filled tortilla cup): 289 Cal, 8g Total fat, 3 g Sat Fat, 216 mg Chol, 840 Sod, 40g, Carb, 8 g fib, 17g Prot, 200 mg Calc.